Find out what you favourite table tennis star were up to last week on facebook, instagram and weibo! Natalia Partyka at an interview with Business and Prestige. Photo Courtesy: Business and Prestige Facebook page. Jean-Michel Saive presented the ANOC (Association of National Olympic Committee) award for best female athlete to Monica Puig who made history as she became the first woman to win a medal for Puerto Rico at the Olympic Games and the third Puerto Rican overall to compete for a gold medal at an individual sport. Huge honor for Saive, the Chair of the Athletes’ Commission of the European Olympic Commission to present this award to her! 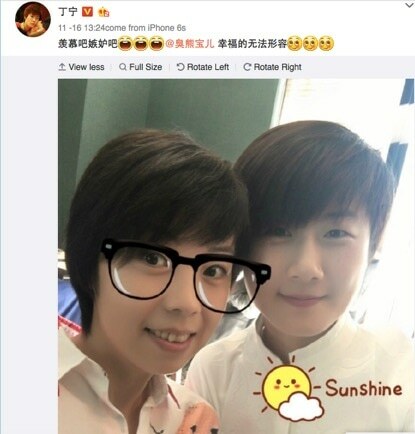 Ding Ning posted her selfie with Zhang Yining and said: Jealousy? Happy beyond words! Hugo Calderano posted about the Black Friday sale in Brazil- Buy two T-shirts and get a 20% discount! Where is Andrej Gacina? Its -32 degree celsius out there! Joanna Parker, posted this beautiful picture of Paul Drinkhall with their kids! Liam Pitchford celebrated 1.5 years with his lover @agneskiirikki ! It’s not the good times I judge myself on, it’s the testing times. This photo was taken seconds after my crushing defeat in my first match of Rio 2016. People wrote me and my team off. I cried all night that night as I thought my mum was never going to get to watch me play as she arrived in Brazil later that day. I watched people laugh at me as I walked out of the stadium. People thought I was gone. Im so proud of my teammates for sticking by me and always pushing and believing In me. I’ve given this sport everything in my body and soul. I’m not sure if I have much more to give. But if this never happens again. Please remember me??? Adriana Diaz looks stunning in this post below! Britt Eerland finally figured out how to use Snapchat! 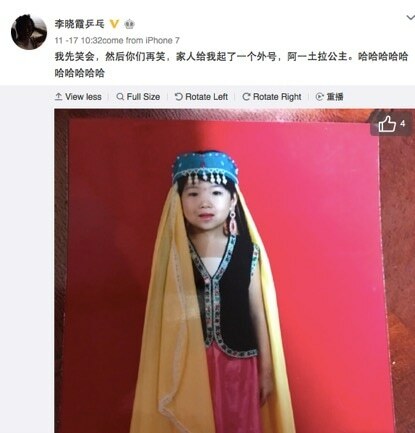 Li Xiaoxia posted this beautiful picture of her as a kid. Her family made a joke and called her Princess! and finally, check out Natalia Partyka’s post about an interview she did for the magazine Business and Prestige, an online portal for women in business!